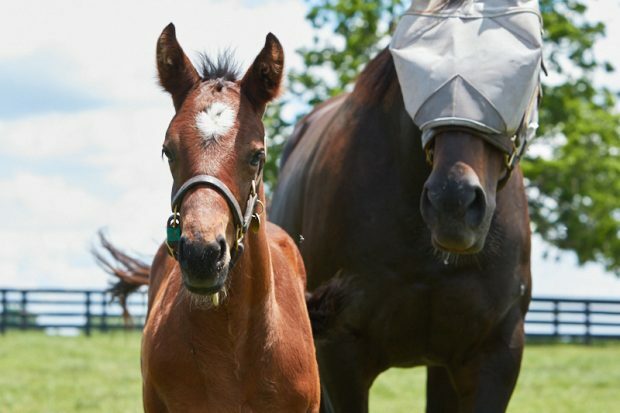 We love these new photos of Zenyatta and her filly. Know there have been such changes in growth-physical & personality during this time. So, hoping all is well with both Z and the filly. Also, “Zenyatta, Queen of Racing” has premiered. getting updates, photos, and information about Z. As this was being posted, the Blog was being updated. Also congratulations to Javier, Victor & Garret as well as the other2017 inductees. I thought Zenyatta is in foal to Uncle Mo? Was at Induction ceremonies for HOF….Very worthy slate inducted this year….Congrats to All! I just watched (replay) the race regarding Ziconic. Congratulations to Ziconic, Zenyatta and Mr. and Mrs. Moss! What about Cozmic One? Has he raced lately? I just read that you are in foal once again. Love to you and your beautiful girl.